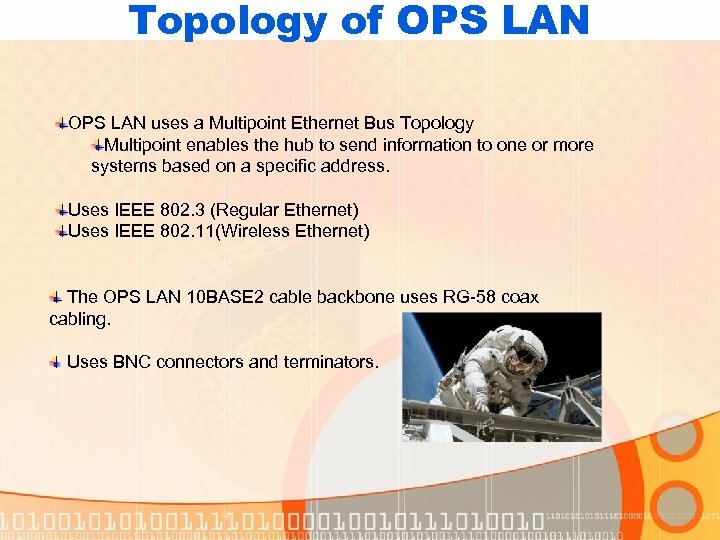 Topology of OPS LAN uses a Multipoint Ethernet Bus Topology Multipoint enables the hub to send information to one or more systems based on a specific address. Uses IEEE 802. 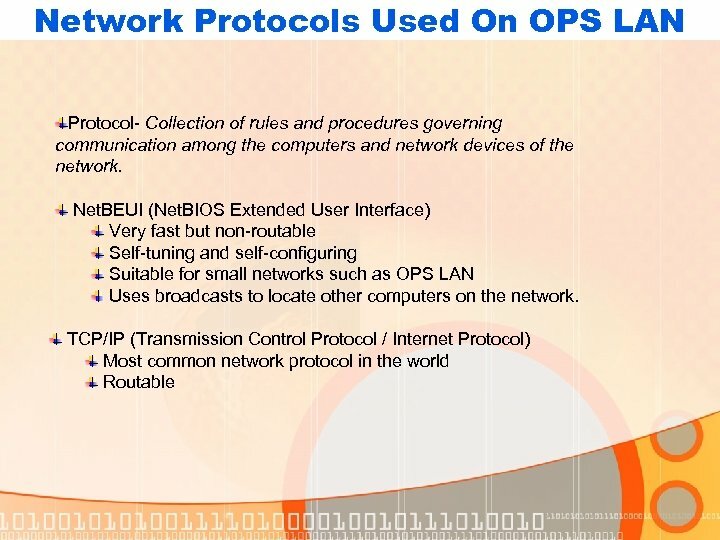 3 (Regular Ethernet) Uses IEEE 802. 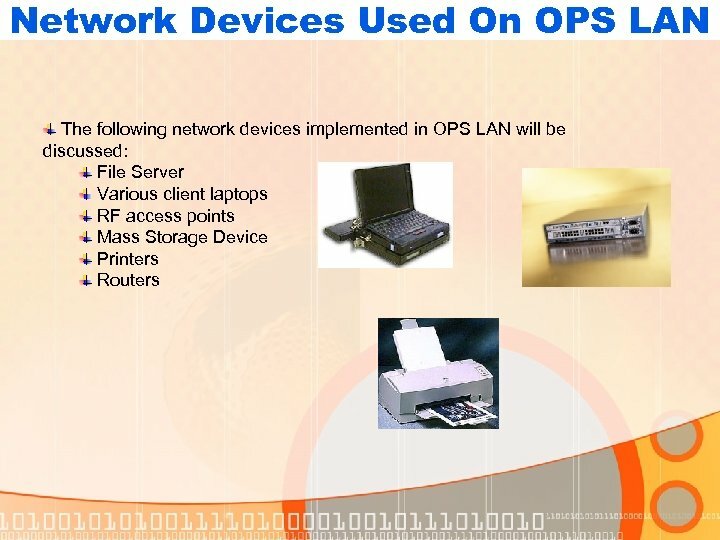 11(Wireless Ethernet) The OPS LAN 10 BASE 2 cable backbone uses RG-58 coax cabling. 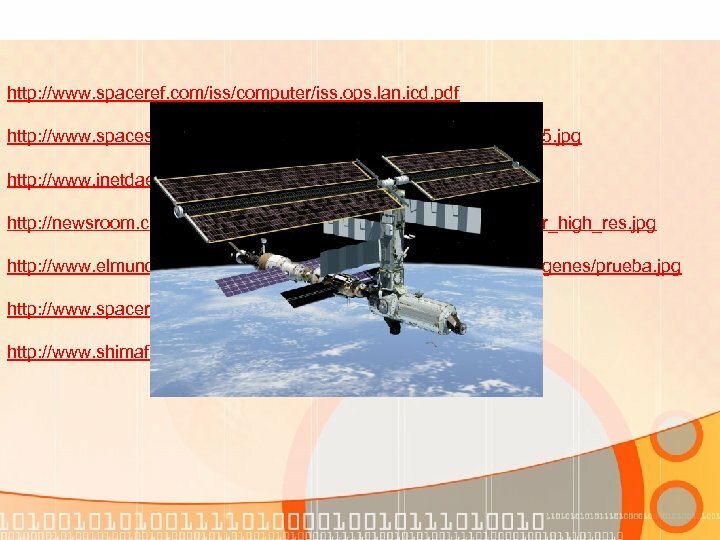 Uses BNC connectors and terminators. 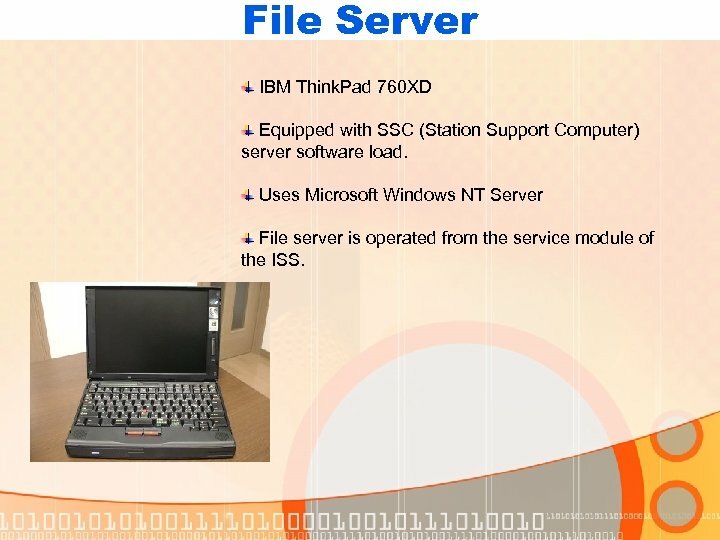 File Server IBM Think. 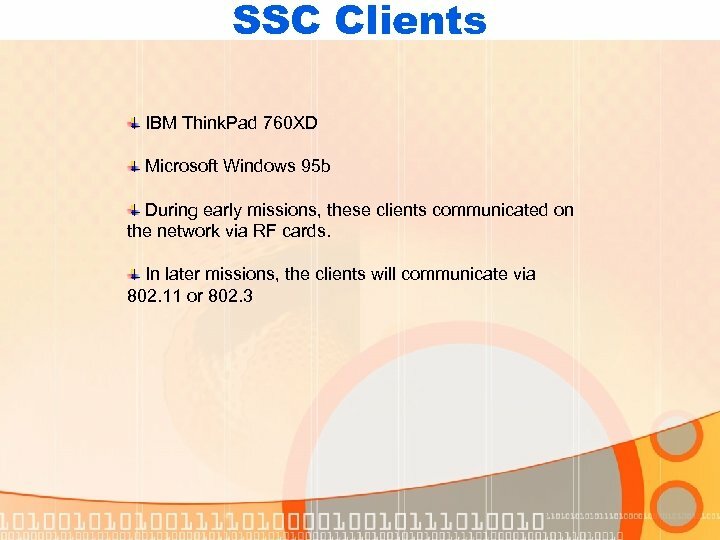 Pad 760 XD Equipped with SSC (Station Support Computer) server software load. 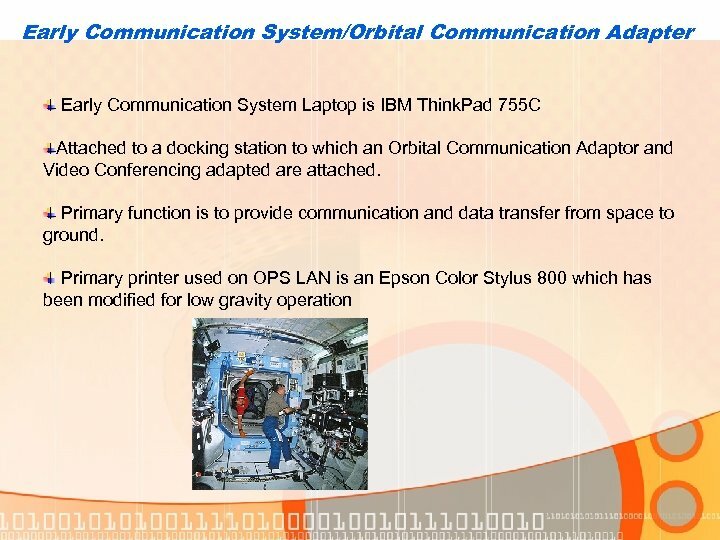 Uses Microsoft Windows NT Server File server is operated from the service module of the ISS. 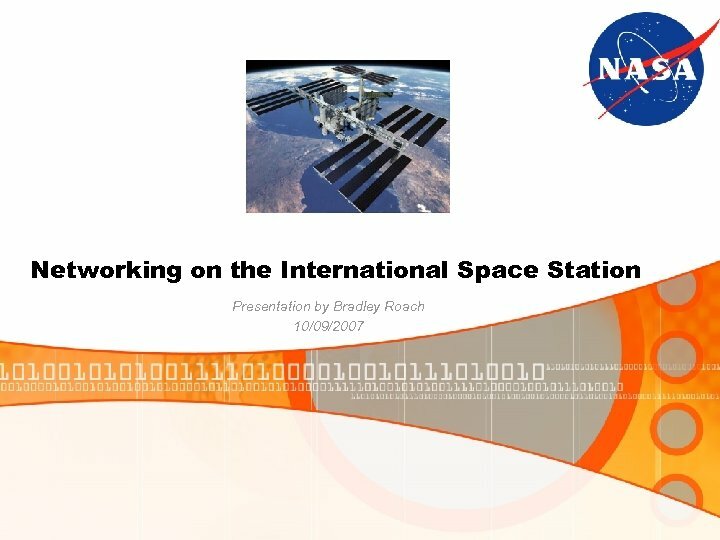 RF Connectivity Operates in the 2. 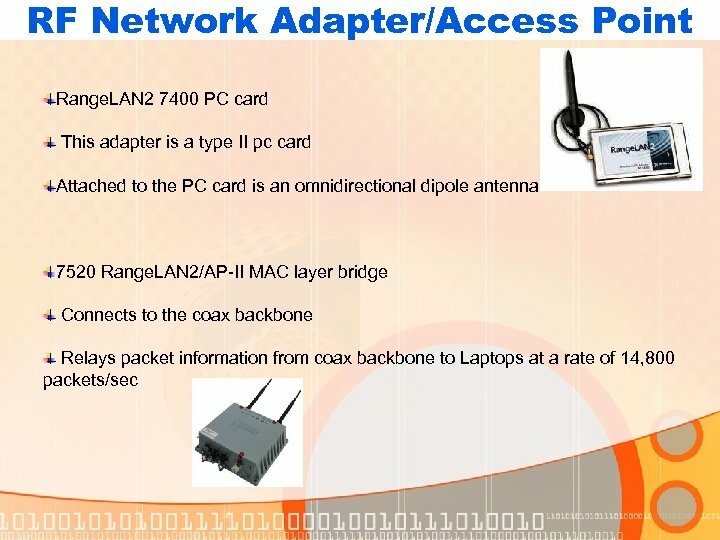 4 ghz frequency band Throughput via RF PC cards is 12 MB/min; Expected throughput is between 3. 5 and 5. 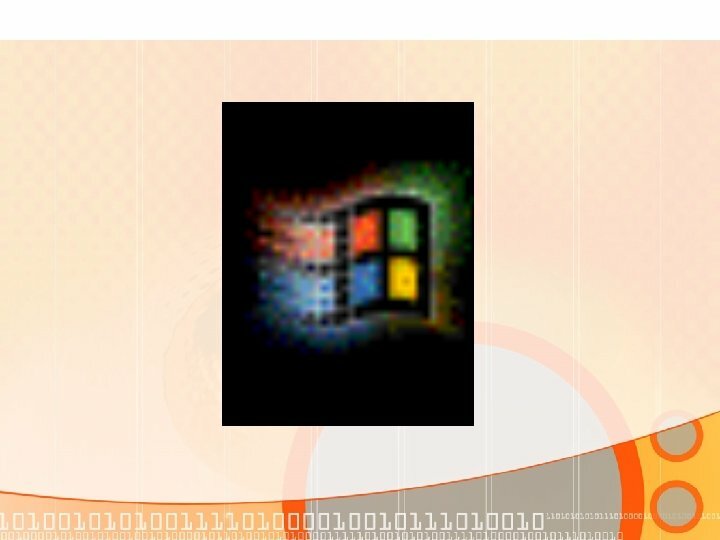 5 MB/Min. 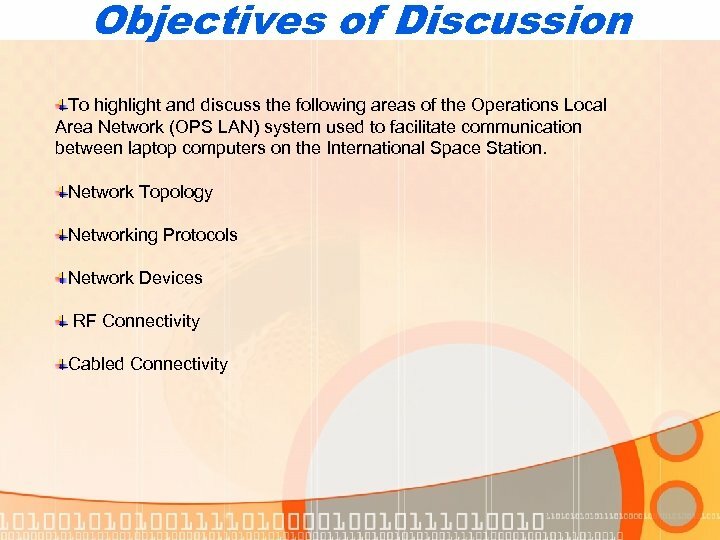 To prevent RF interference and unauthorized eavesdropping, Spread Spectrum Technology is used. 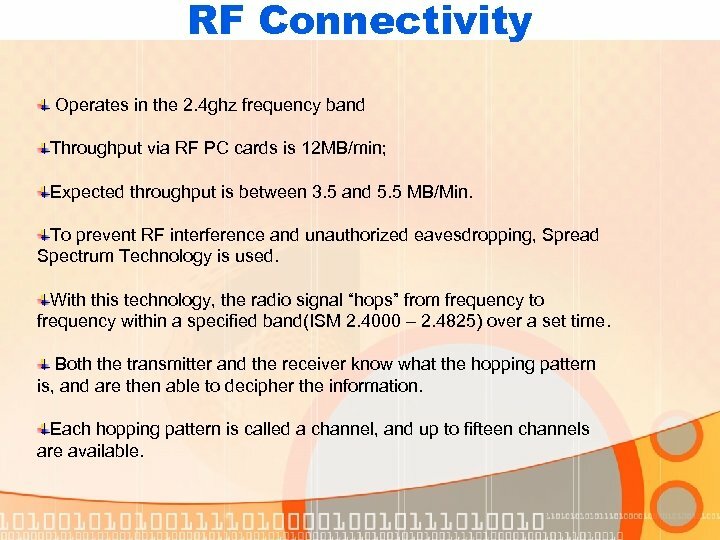 With this technology, the radio signal “hops” from frequency to frequency within a specified band(ISM 2. 4000 – 2. 4825) over a set time. Both the transmitter and the receiver know what the hopping pattern is, and are then able to decipher the information. Each hopping pattern is called a channel, and up to fifteen channels are available.